I personally adore this store and the fun fashion it offers – and they have amazing sales! However, not everyone is as excited as I am. In fact, many locals have been bashing the fact that the store decided to come to the Highlands. Their argument is that it will take away from the local shops that have been around for ages – I have to voice my opinion and say that I totally disagree. I think the store will pull people out of the malls and back to Bardstown road shopping, where you can find one of a kind pieces and eclectic items. If anything, it will put more traffic into the local shops. Coffee shops, restaurants, jewelry stores and clothing boutiques (in my opinion) will see more business. So in the words of wise people before us – make love, not war. Let’s keep the Highlands a wonderful place to live, eat AND shop! 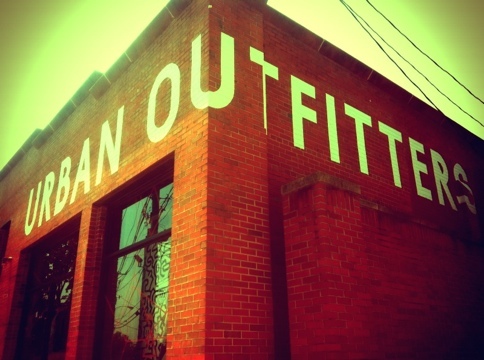 This entry was posted on Wednesday, July 18th, 2012 at 12:02 pm	and posted in fashion finds, favorite things. You can follow any responses to this entry through the RSS 2.0 feed.